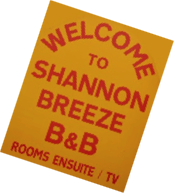 Shannon Breeze is an approved Failte Ireland (Fáilte Ireland, the National Tourism Development Authority of Ireland) Bed & Breakfast. 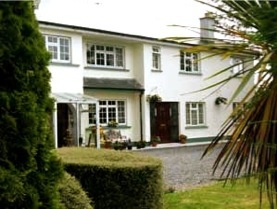 An attractive B&B set near Lough Derg on the River Shannon. Experience the comfortable, relaxing and peaceful atmosphere of our Bed & Breakfast only 5 minutes away from the vibrant Heritage Town of Killaloe. ‣Car Parking area & Garden.